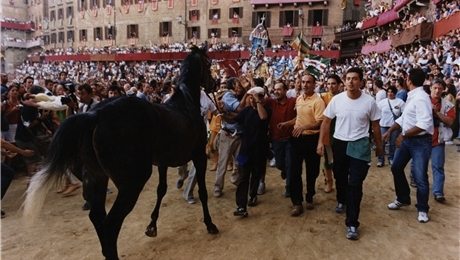 An sensitive documentary film about the passionate struggle of an Italian community in Siena to win the town’s annual event: Il Palio. The honour and respect of the district are at stake, as they have not won for years. The young need to feel the glory of a victory coursing through their veins in order to be truly proud of their roots. All the year round we follow a few members of the Civetta ‘clan’ closely, who have dedicated their lives to their district. 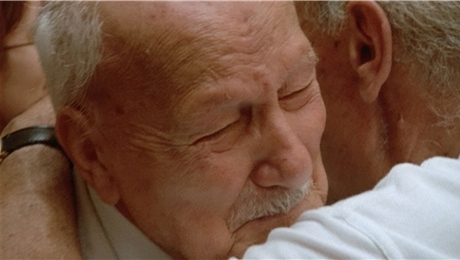 From Egidio, the 92-year-old sage, to 21-year-old Paolo, who grooms the horse and is totally committed. Only four days before the race, a lottery decides which horse is selected for the district. 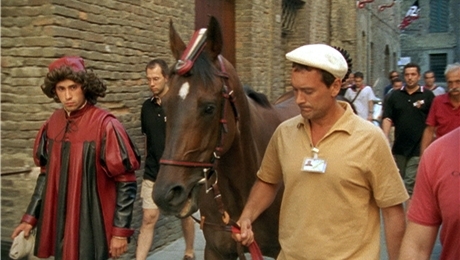 This horse is then paraded through the city as if it were a god. 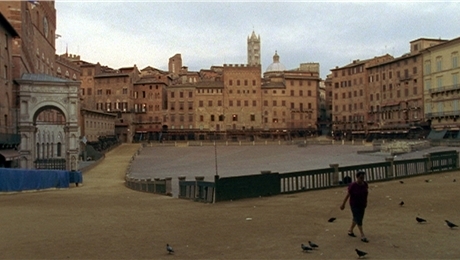 It symbolises Fate that will decide the future of the district. 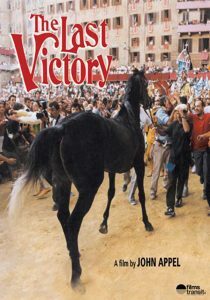 The Last Victory is about the hopes and the fluctuating fortunes of a small but passionate community. 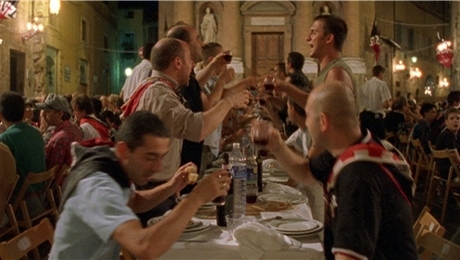 It reflects the different layers of Italian society: its traditions, its religion, its politics and its love of sport.